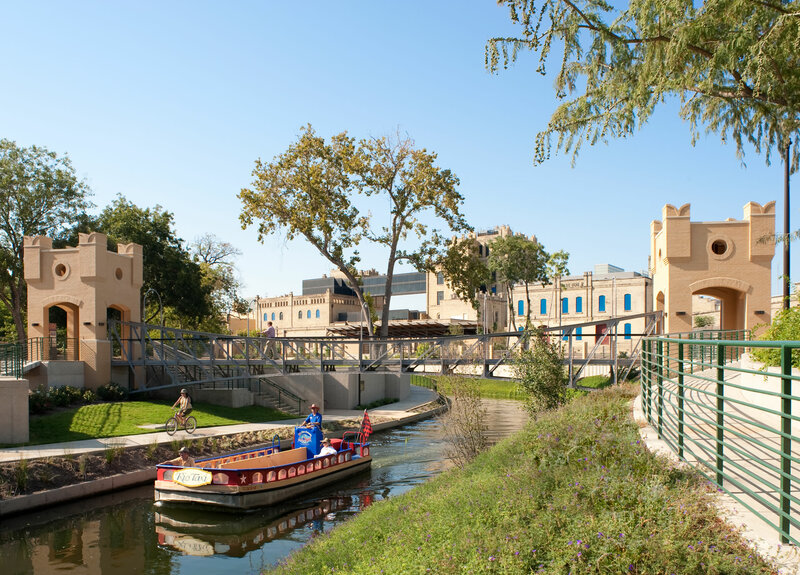 Beer barrels once rolled across this narrow steel truss bridge when it linked the production and distribution towers of the turn-of-the-20th century Lone Stone Brewery, now home to the San Antonio Museum of Art. 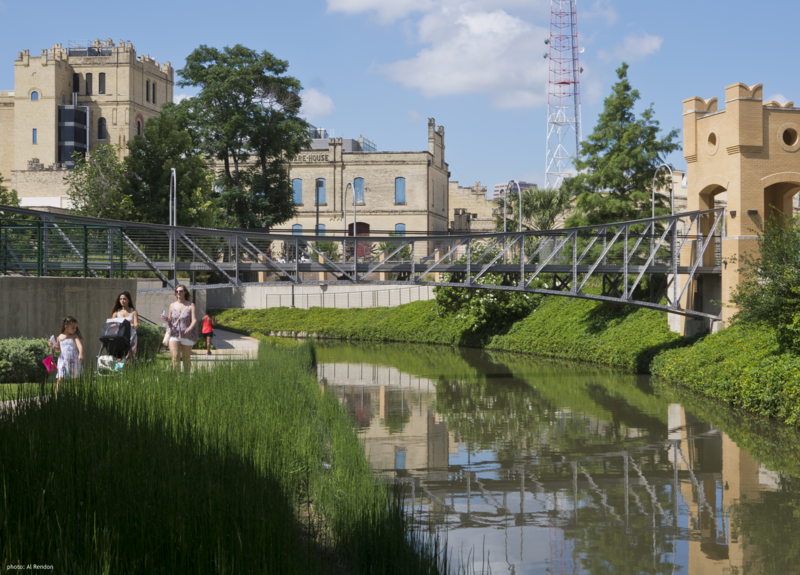 Kept in storage for many years, the historic bridge, weighing 8.6 tons, now serves as a pedestrian footbridge across the San Antonio River just north of the museum. A gift from Mark Watson, the bridge installation was underwritten by Ewing Halsell Foundation of San Antonio.